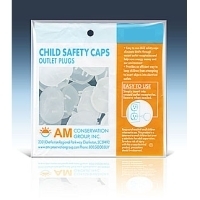 These easy to use child safety caps help to saves energy by eliminating drafts through vacant outlet receptacles . It also keeps children safe by preventing them from inserting objects into electrical outlets. To use simply insert outlet plug into electrical outlets. They are sold in a pack of 18 units.